You can play the Steam version on two screens just like the original. Screen sizes and layout can be freely adjusted to your liking! Russian language support has been added, making a total of 8 different language settings. For all you speedrunners out there, a brand new Speedrun Mode has been added, with future updates coming soon. Play the original Japanese version of the game complete with Japanese voiceovers and mid-stage dialogue with English subtitles! New updates coming every month for the first 6 months! 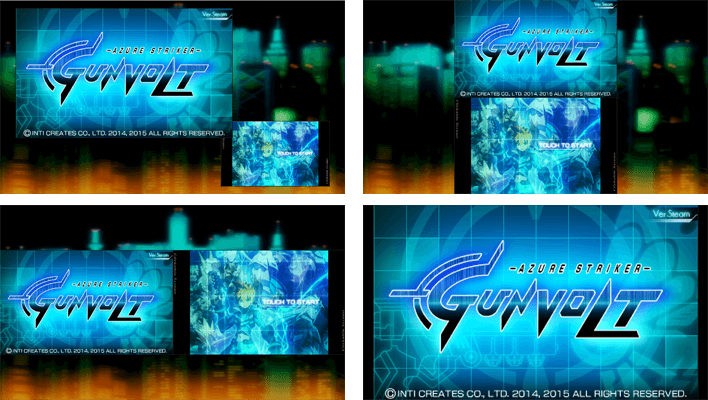 In order replicate the look and feel of the original version, the Steam version of Gunvolt will be presented with two screens: a main window and a clickable sub-window. You can customize the layout of the screens however you like and save them for future use. Your custom setting, combined with 3 preset window configurations, and the ability to display the main window in full-screen can be toggled with the F5 key at anytime during gameplay. 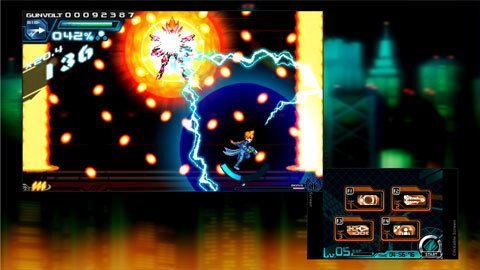 With the addition of Russian language support for the Steam version, Azure Striker Gunvolt is now playable in 8 different languages. 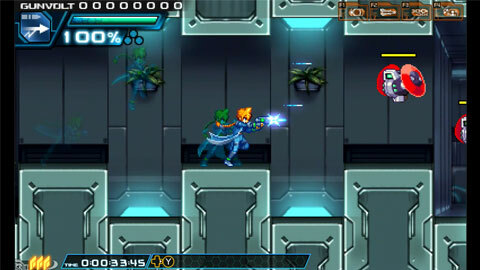 This new mode gives speedrunners around the world the chance to compete for the best time, with pre-determined settings put in place by the Gunvolt team to maximize efficiency for this challenging new mode. Future updates which will new add features and settings are already planned, so stayed tuned for information about that in the near future. All mid-stage events and dialogues will be automatically skipped. You will be able save and load Save States at any time during the level. However, when an area of a stage is completed after breaking a Hexapyle, your save state will be reset. Your Pendent equipment slot will be auto-equipped with the "Broken Necklace" item. This cannot be removed at anytime during a speedrun. Lumen will not sing her Anthem for you. Key inputs and a timer will be displayed at all times. You will receive 5 out of a possible 10 trading cards in accordance with your gameplay. Trade with your friends and try to acquire the entire set. that will unlock icons and wallpapers in Steam Chat. In this long-awaited mode, players will be able to play the original Japanese version of the game, which includes ample mid-stage dialogue, all fully voiced in Japanese with English text. The entire script has been re-translated to coincide with the dialogue of the Japanese version of the game. 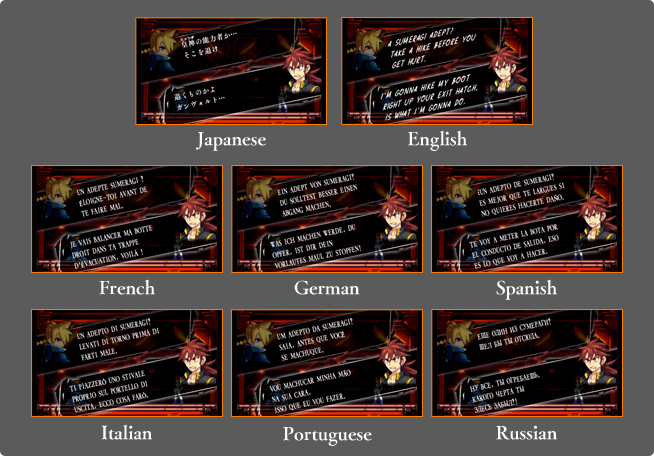 To play the game in Japanese Voice Mode, select it from the Language Settings before starting the game. To celebrate the release of the Steam version of the game, free content updates will be coming once a month for the first 6 months after its release. ©INTI CREATES CO,. LTD. 2014, 2015 ALL RIGHTS RESERVED.